This is a classic Venetian Bead incorporating 3 different techniques. 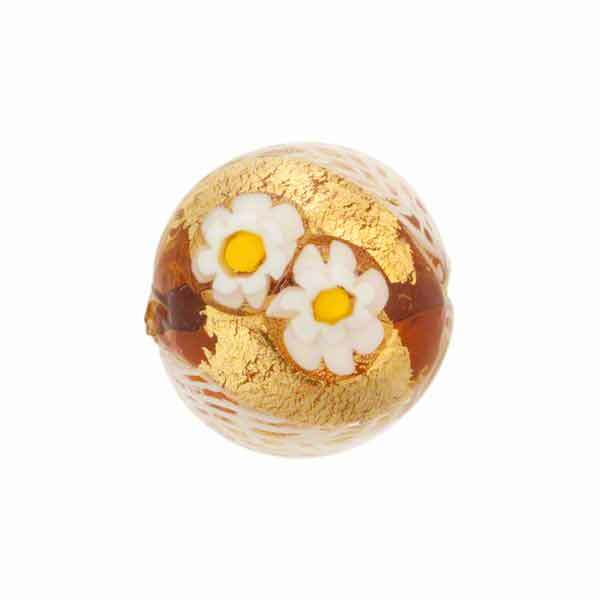 The bead is worked by applying millefiori slices which create the small flowers and then pieces of Zanfirico cane and finally 24kt gold foil exterior. Like all beads with exterior gold foil, the gold foil will wear over time and with contact with other items. This is normal and is not a defect, rather part of the type bead. The exact size, shape and placement of the slices of millefiori and the zanfirico are completely random and no two are ever exactly alike. 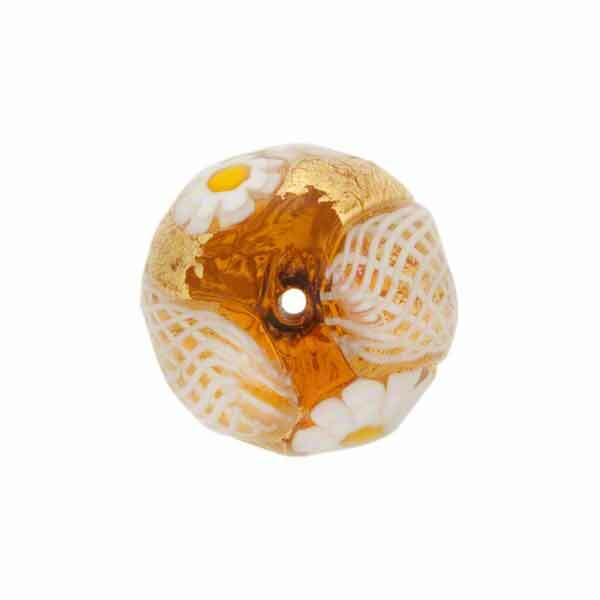 The size of this round bead is approximatelyt 16mm with a center hole of approximately 1mm diameter. 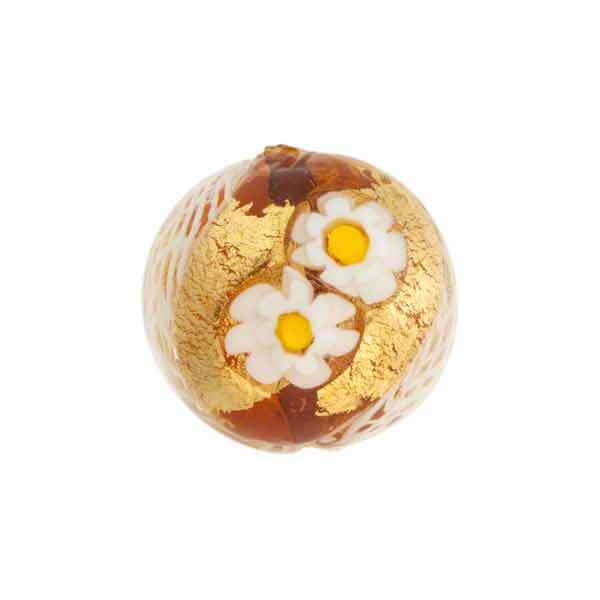 The color of this bead is a transparent Topaz with White Zanfirico and small White and Yellow Daisies.